Another still life using Peruvian objects. 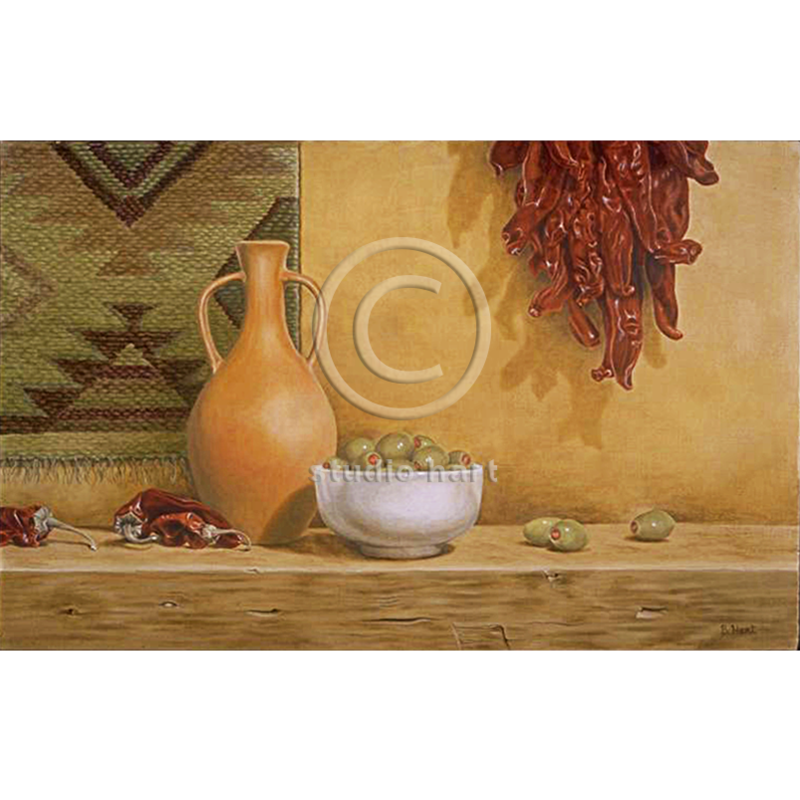 Around this time I started getting obsessed with painting chilis and olives. Just couldn’t get enough of it. I could tell a little story about what I found in the bottom of the olive bowl after I had eaten quite a few, but no, maybe not.